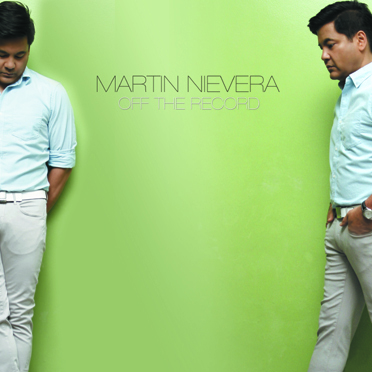 Martin Nievera's "Off the Records" & "Under the Covers"
In celebration of Martin Nievera's 30th anniversary in the music scene, Polyeast Records would like to announce the vinyl release of two collections of Martin Nievera’s most-loved hits and covers over the years. With the titles “Under The Covers” and “Off the Record”, these two special anniversary package is now available in the market nationwide. 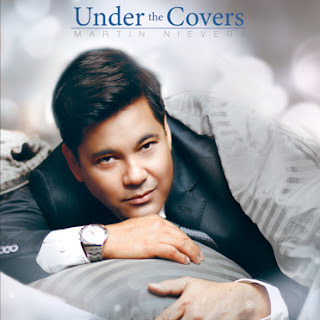 Comprised mostly of hit singles and key album tracks from Martin’s 30-year-old catalogue, “Under The Covers” however wraps with Martin’s remake of the most notable love songs through the years. Included in the cd is Martin’s version of Kenny Loggin’s “Forever”; “Right Here Waiting For You” originally by Richard Marx; “You’re my Everything” borrowed from The Santa Esmeralda’s 70s hit; “Maybe This Time”, Martin’s version of Michael Murphy’s classic love song; a duet with R&B Princess, Kyla in the song “How Do You Keep The Music Playing” and a lot more. “Under The Covers” and “Off the Record” are now available in the market nationwide released by PolyEast Records. For Martin Nievera’s mall shows, details are available on https://www.facebook.com/PolyEastRecords and https://twitter.com/PolyEastRecords. Are you ready for the local action movie to shine? 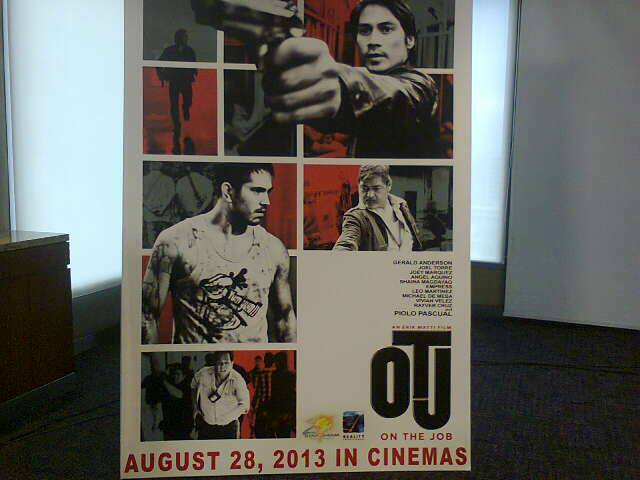 The highly anticipated internationally-acclaimed action-thriller “OTJ” is now showing (August 28, 2013) in cinema nationwide. Star Cinema and Reality Entertainment is ready to showcase ‘your not ordinary action film. Starred by our brilliant actors of their generation, Piolo Pascual, Gerald Anderson and 2013 Puchon International Fantastic (PiFan) Film Festival best actor Joel Torre. An action movie that will mark the return of the action genre in Star Cinema after their first ever movie release of “Adan Ronquillo”. The film is about the passions and ambitions of four men trying to survive, and a make living for themselves and their respective families. It depicts parallel worlds between two inmates who are hired as contract killers, and law agents investigating the crimes. As the two groups are caught in the jobs of corrupt government officials, the two groups are lead into a inevitable collision against each other having their loved ones as collateral damage. According to Direk Erik Matti, an award-winning filmmaker, this movie is not the usual action movie that we saw in the past years. This has the story that we should watch out. 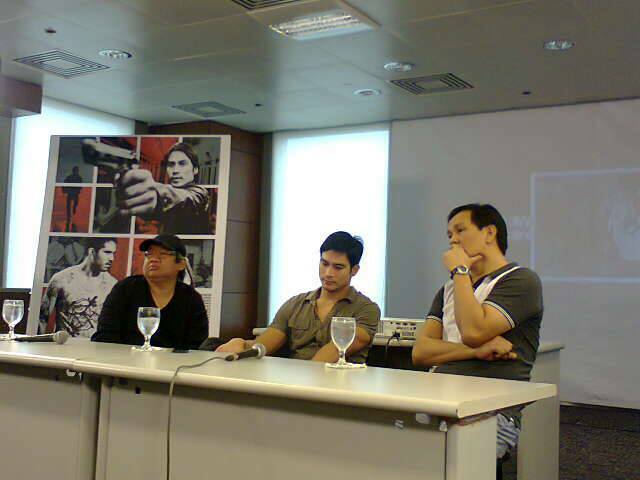 Direk Erik Matti, Piolo Pascual and Joey Marquez shared their experiences doing the movie. Direk Erik shared how he was able to complete the cast and shared also the goodness of the stars despite of difficulties doing this movie. Piolo and Joey shared on their working relationship with other stars and with direk Erik. They even reveal events that happened while on the process of making film. And they are all proud to be part of this movie. Aside from the Cannes Film Festival, the film was also screened at the 17th Puchon International Fantastic Film Festival in Bucheon, South Korea. At the said film festival, Joel Torre received the the Best Actor award, and the film received the Jury Prize. “OTJ” (On The Job) is another Star Cinema's 20th anniversary movie offering. Also part of the movie are Angel Aquino, Shaina Magdayao, Empress, Dawn Jimenes, Leo Martinez, Vivian Velez and Rayver Cruz. 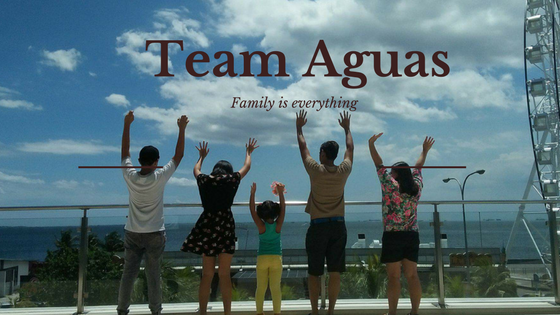 Now Showing on cinemas nationwide on August 28, 2013. Let’s all watch the movie and share the good story on this film. For more information and updates on “OTJ” and other Star Cinema's 20th anniversary movie offerings, visit www.StarCinema.com.ph, http://facebook.com/StarCinema and http://twitter.com/StarCinema. Zia Quizon's sophomore album "A Little Bit of Lovin"
Zia Quizon is back with another album "A Little Bit of Lovin," with eight original cuts including Zia's compositions and two classic revivals released by PolyEast Records. Grab your copy now! Zia's sophomore album is titled "A Little Bit of Lovin" and back with her worldly, earthy soul voice with the new single "Pasakalye" written by Jungee Marceio. "Pasakalye" have hit the radios and a music video will be launched on MYX Channel soon. With a new album that will definitely show Zia's ability to push her own boundaries, the new cd includes a remake of White Stripes' "Seven Nation Army" and OPM classic " Masdan Mo Ang Kapaligiran" borrowed from 70s Pinoy folk rock band Asin. Aside from Zia's notable vocal performance, her songwriting craft shines through the songs "Under and Over", "On The Run", "A Little Bit of Lovin", "Sweet Memories" which throw her trademark bluesy vocal and really got something to talk about the artistic evolution of or,= of the country's most-anticipated singer-songwriters. This journey must have embraced the legacy that both her parents have given her - ZsaZsa Padilla, her mother's singing prowess and her father Dolphy Quizon's funny charm - but reveals an artist who has gone through a musical transformation paving her mark in the industry. Zia Quizon (singer/songwriter) continues to dabble in different sounds and styles, also included in the album are collaborations with talented songwriters and singers like "Katulad ng Iba" featuring Gloc-9 which was made in support to "NOT IN OUR SCHOOL Anti-Bullying Campaign"; a soulful "Kung Ayaw Mo Sa Kin" composed by Francis Salazar; and the song "Bakit Dl Ka Crush ng Crush Mo" became an original soundtrack of the same movie title also written by Junjee Marceio. 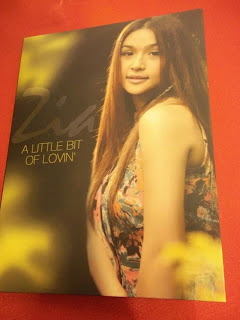 "A Little Bit of Lovin" is Zia's follow-up to her self-titled debut in 2011 with the chart-topping and award-winning songs "Ako Na Lang", "Dear Lonely" and "Simple Girl", has sold more than 10,000 copies. Our 22-year old acoustic Jazz singer brought home her first Awit Awards trophies for Best Female Recording and Best Recording by a New Female Artist in 2012. "Ako Na Lang," the same song which proclaimed Zia as one of this generation's rarest commodity, also won the 2011 Awit Awards "Song of the Year" for songwriter Jungee Marceio and Zia's single "Simple Girl" for Best Engineered Recording for Nikki Cunanan. In 2012, Zia also received MYX Music Awards 2012 as Favorite New Artist. "A Little Bit Of Lovin" is now available for downloads on mymusicstore and iTunes wordwide. 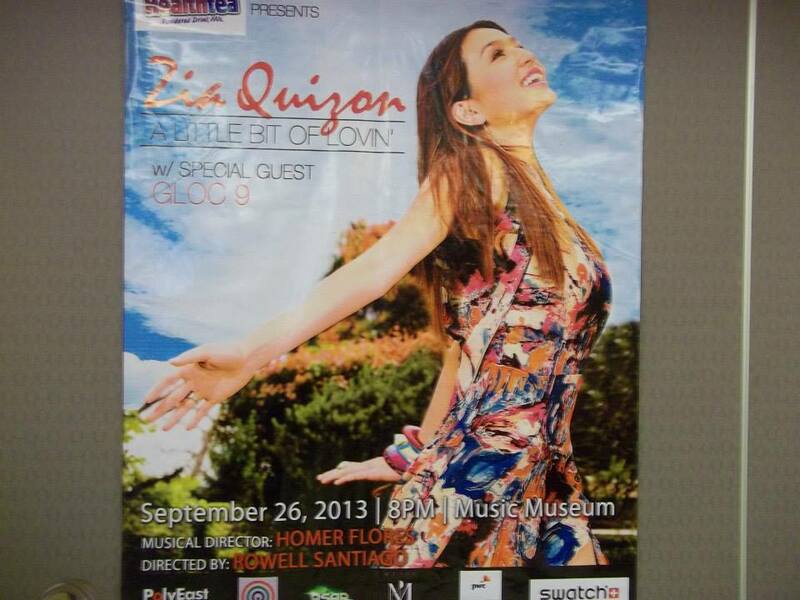 And wait there’s more, Zia will stage her first-ever concert titled "A Little Bit Of Lovin" with special guest Gloc-9, on September 26, 2013, Friday 8pm at the Music Museum, Greenhills. Tickets are available at ticket world 891-9999. Quentin Mosimann LIVE in Manila!